It is not likely that the 2010 drought in Thailand has been caused by deforestation as reported (Army says dry spell due to deforestation, Bangkok Post, June 30, 2010). Thailand has a long history of droughts that come in cycles normally synchronized with the El Nino phenomenon. It is part of a well established weather pattern in this part of the world. 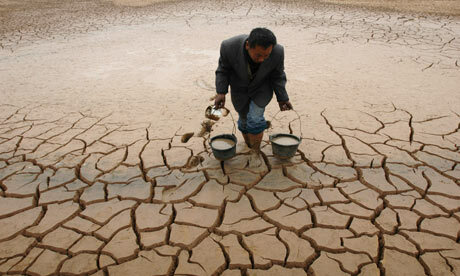 These droughts are caused by insufficient rainfall. It is not possible for deforestation to affect rainfall. It may be true that deforestation worsens the effects of droughts and floods but it does not cause droughts just as it does not cause floods. The body of Tdaaki Okada, 60, was found dead yesterday. To the average Thai trying to grasp the enormity of the trade, this is an almost impossible amount of illicit drugs to comprehend. Yet, by their own estimates, it is only about 10 per cent of drugs on the street in Thailand. Too late, tens of thousands have sought help to kick their habits. The revelation must be a matter of national concern. Counterparts had a name for the suspected mastermind: Abudila Romli. The gang leaders never have said what they want. The country only has Thai as its official language. English is still considered the most influential language for international communication. It is reported that carbon dioxide emissions from fossil fuels is causing the Pine Island Glacier in the West Antarctic Ice Shelf to melt and disintegrate (Clues to Antarctica glacier’s thaw, Bangkok Post, June 23, 2010). This item is no longer news. 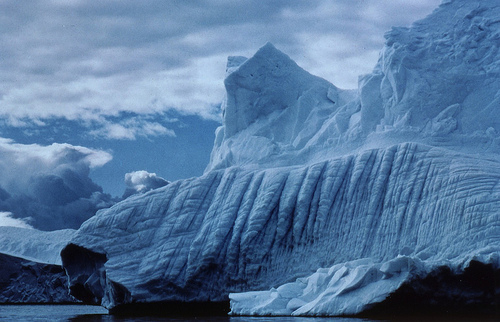 We have been told numerous times since 2001 (The Guardian, 2 February 2001) that the Pine Island Glacier is sliding into the sea and it will raise sea levels inundating low lying areas “from Florida to Bangladesh”. Each time, critics pointed out that the Pine Island was the fastest glacier in the world and it is indeed sliding into the sea – this is what glaciers do – at 2500 meters per year, as it has been doing for thousands of years. If global warming were the cause, the effect would be evident all over the Antarctic not in a minute portion of it. Taken as a whole, Antarctica is cooling not warming; and taken as a whole the amount of ice in Antarctica is increasing not decreasing. It has been 30 years since the sea level rise scare, along with the alleged inundation of low lying areas from Florida to Bangladesh, got started but there has not been any evidence of it so far. There are numerous reasons that most of the world needs to consider the use of energy. The USEIA predicted that Americans would need 14% more energy between now and 2035. The government has no policy either on nuclear energy or on how to achieve energy conservation at all. Producing power abroad and importing it has no effect on conservation. Rushing into a panic-driven solution won’t work. Neither will putting off necessary decisions. The teams finishing first and second in each group will qualify for the Round of 16. In case of a tie the above three criteria will be applied to the head to head matches among the tied teams. If ties remain unresolved, lots will be drawn by the FIFA Organizing Committee. Lumped together to study reform, the four-person group begs a question: what reform will they seek? Dean Yubol never has worked in the media. The goal of national reconciliation is worthy but is merely a rhetorical cliche without imaginative action. Mr Abhisit has picked a ponderous investigator to head the May 19 inquiry. These prominent and respected personalities represent the cream of the nation. No longer is it an attempt to seek national unity across all Thai society. A major part of the plan is a report on the violence of April and May. Instead it seems that the commission will not complete its work within six months. It has likely been some time since your esteemed columnist has taken a trip down under for otherwise he might not have made that unkind reference to Australians as being less well behaved than dogs (Time for a four-legged Woodstock, Bangkok Post, June 20, 2010). If he would take the time to visit this beautiful country he would find that it has been mellowed considerably since the waves of new non-conventional migrants from places like Italy, Greece, China, Vietnam, Lebanon, and India diversified its cultural portfolio. Cultural diversity in and of itself has a civilizing influence. Please give them the credit due for coming up with an entirely new genre of music instead of using this remarkable event to put them down.